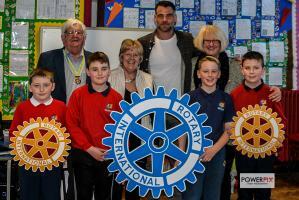 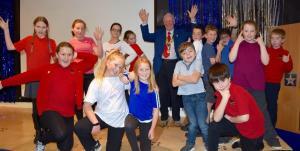 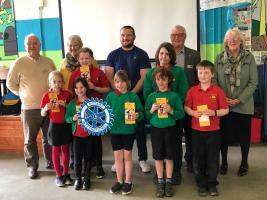 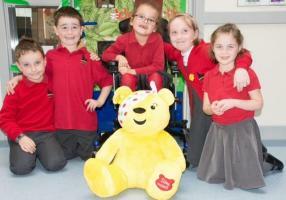 Narberth & Whitland Rotary Club is delighted to have two Rotakids Clubs in its area. 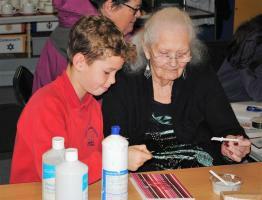 ROTAKIDS helping LIVING MEMORIES GROUP and END POLIO NOW. 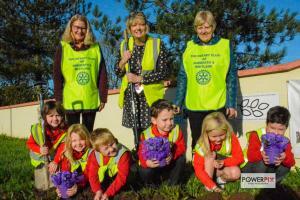 Crocus bulbs planted by Narberth Rotakids are now blooming - and they are looking lovely! 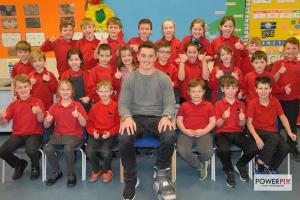 Narberth Rotakids give Scarlets, Wales and British Lions Rugby Jonathan 'Foxy' Davies a warm welcome when he visited the school recently to present the Club with it's Charter Certificate.